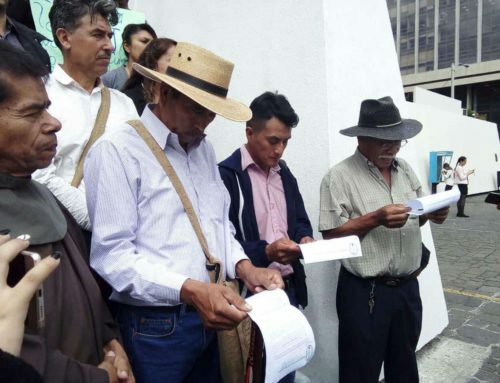 On January 24, residents from the municipalities of Casillas and San Rafael las Flores filled the courtroom to hear arguments in a civil suit against the Ministry of Energy and Mines (MEM) that seeks the cancellation of a mining concession in their communities. Casillas resident Bernabé Rivas appealed to the court, expressing concern and frustration that community opposition to mining has been ignored. 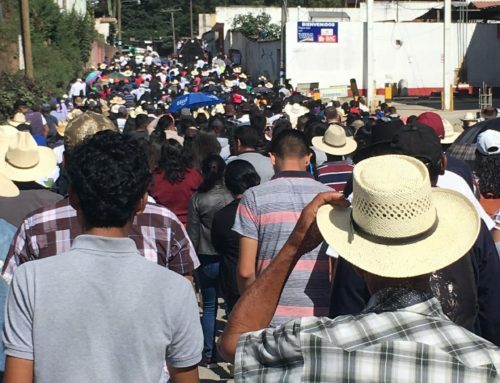 The communities have filed a complaint against the Ministry for having granted the concession despite the results of the 2011 municipal referenda in Casillas in which 98.6% of voters rejected metal mining in their municipality. They have filed an additional complaint for the violation of their human right to water and a healthy environment. The exploration license known as Las Lajitas was granted by MEM in 2015 and is located approximately five miles southwest of Tahoe Resources’ controversial Escobal mine. In his remarks, Rivas told the judges that their municipality has seen firsthand the impacts the Escobal mine has had in polluting and drying out community water supplies. He explained that their farming communities rely on coffee, corn, and bean cultivation and the negative impacts to water as a result of the mining project would seriously impact their way of life. This complaint forms part of a broader regional strategy that seeks to stop Las Lajitas in its early phases. Similar complaints against MEM have been filed by the municipality of Casillas, represented by the Guatemalan Center for Environmental and Social Legal Action (CALAS), for having violated the municipality’s right to consultation. While that complaint was initially blocked by a lower court from proceeding, the Constitutional Court overturned the decision and, on December 21, 2016, ordered the temporary suspension of the license. It remains unclear if MEM has acted on the orders of the court and temporarily suspended the license. 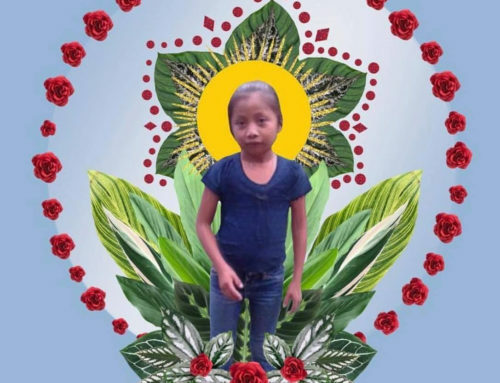 “It is deplorable that this is happening in Guatemala, even after we are seeing the problems in the municipality of San Rafael las Flores as a result of the Escobal mine. We have seen water shortages. The houses in the community of La Cuchilla are now uninhabitable. We see the polluted rivers and the conflict in communities [that has arisen as a result of mining projects]. We see that the Public Prosecutor’s office is more aligned with corporate interests than the people. The judges did not announce a date in which they would issue a decision. Like in many cases in Guatemala and around the world, communities were not informed nor gave their consent before the license was granted. 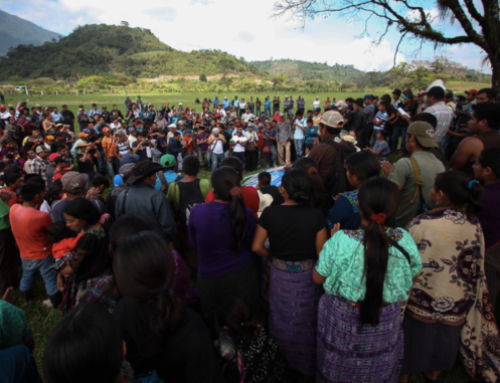 While the Las Lajitas concession was awarded to an individual – Esperanza Elizabeth Castro Picón – communities have discovered that it may, in fact, be tied to Canadian mining company Gunpoint Exploration. No record of the Escorpión license can be found at MEM; information on the company’s website shows that it is located in the same area as Las Lajitas license and was granted on the same day, leading communities to believe if may be the same license. 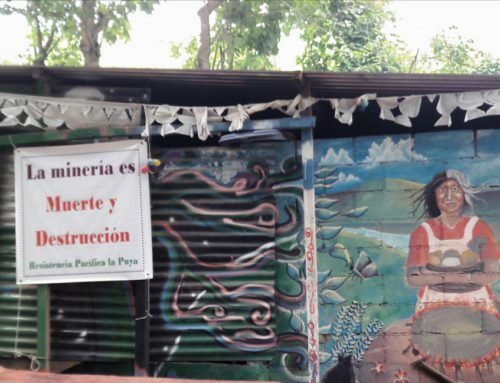 Residents from Casillas and San Rafael las Flores wrote to the President of Gunpoint Exploration last July to demand more answers and ask why his company had chosen to go forward with a project despite the firm decision by communities in the area against mining. To date, there has been no response. Read the full letter sent to Randy Reifel, CEO of Gunpoint Exploration. 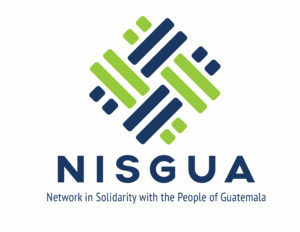 NISGUA has provided international accompaniment and advocacy support to communities resisting Tahoe Resources since 2011, amplifying their voices as they fight for community self-determination.